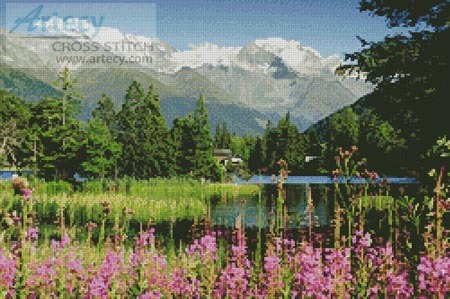 Reviews: Champex, Switzerland Cross Stitch Pattern to print online. Wonderful picture of a wonderful place! I use to spend my holidays here. The stitching took me nearly 2 years, but now it's finished and I'm looking forward to have it framed.